This would be a dramatic departure from the conventional focus on the continent’s natural resources. The transition requires African policy-makers to focus more on how their own societies can shape their scientific and technological trajectories. Conventional wisdom informs African policy-makers that their economies are likely to grow if they invest significantly in basic research and development (R&D). The case is often made for devoting a minimum of 1% of a country’s GDP to R&D. The assumption is that investing in research would result in new technologies, which would then be deployed in the economy to boost development and improve human well-being. Indeed, advances in the application of mobile technology in Africa are starting to shape fundamental research as young people discover the importance of mathematics and electronic engineering in the development of new products such as apps and digital services. Similarly, a few African research institutions are starting to harness the power of nanotechnology to explore new properties of natural resources that can be leveraged to develop new products. In the same vein, Africa can leapfrog decades of prior technologies by starting to harness for civilian use the power of technologies such as solar photovoltaics, 3D printing, drones, robots, satellites and synthetic biology, especially gene editing. One of the key implications of acknowledging the interactive approach is the need to abandon the false dichotomy between STEM (science, technology, engineering and mathematics) subjects on the one hand, and the social sciences and humanities on the other. Instead, the focus should be on promoting creativity though the integration of the diverse disciplines. Inventors need legal expertise just as much as medical researchers need anthropological knowledge. The demarcation is a relic that only perpetuates the under-utilization of knowledge for development. It also creates opportunities for unnecessary feuding over limited financial resources. 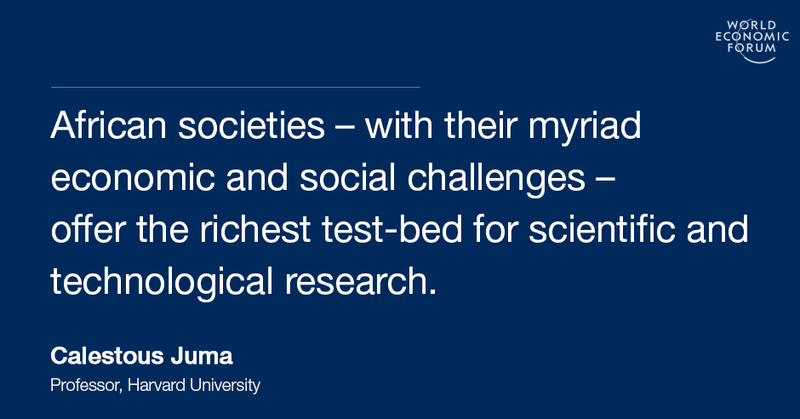 The co-evolution between science and society challenges not our world view about the place of scientists in society, but the very definition of what we consider to be science. It also calls into question the dominant design of the research landscape among most African countries. There is a popular view that separates science from other technical fields, especially engineering. In fact, much of the work of engineers is credited to scientists, especially by the press. Scientists take the credit for new technology products and engineers usually shoulder the blame when technologies fail. This has implications on the way that universities are structured. It calls for greater emphasis on trans-disciplinary collaboration. Such an approach is not just about the token inclusion of experts from other fields, but about genuine efforts to bring the diverse disciplines together to help find solutions to social problems. One way to bridge these gaps is to gradually create a new generation of universities that combine research, teaching, extension and commercialization of new products and services. Such “innovation universities” should reflect the view that science and society co-evolve. Indeed, some countries reflect this confluence in the structure of their ministries. Japan, for example, has one ministry dealing with education, culture, sports, science and technology. In many African countries, science is viewed as the opposite of culture. Most African governments lump culture with arts, tourism and handicrafts. Only Comoros has research and culture under one ministry. The point here is not to copy the Japanese model, but to highlight the fact that most African countries consider science to be separate from culture. The tendency is to define culture in static terms despite considerable evidence of creativity in handicrafts, making them centres of innovation.